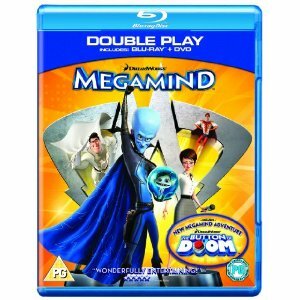 For this week’s Blu-ray Monday we’re giving away a Double Play copy of ‘Megamind’ on Blu-ray Disc. Combining Hollywood elites Will Ferrell, Brad Pitt and Tina Fey, Dreamworks’ story of the bad-guy who’s not a bad…guy, is up for grabs as part of our Blu-ray Monday competition. Megamind is a wickedly funny take on a superhero villain but who is your favourite superhero villain of all time? Maybe it’s because of their awesome power? Or perhaps it’s because of their insatiable ability to constantly challenge their nemesis? Or maybe, as in the case of Megamind, it’s because they’ve got a likeable side? From films to cartoons to comic books to computer games who is the ultimate bad guy and why? [tweetmeme source= “blurayreporter” only_single=false] For this week’s Blu-ray Monday we’re giving away a Triple Play copy of ‘Unstoppable’. An unmanned cargo train carrying toxic waste hurtles across the Pennsylvanian countryside. With only veteran engineer Frank (Denzel Washington) and rookie conductor Will (Chris Pine) on hand to avert catastrophe, director Tony Scott gives us a master class in pulse-racing action and high octane stunts as the duo fight to prevent disaster. ‘Unstoppable’ pairs well established screen actor Denzel Washington with newcomer Chris Pine. If film partnerships such as Al Pacino and Marlon Brando in ‘The Godfather’ or Matt Damon and Robin Williams in ‘Good Will Hunting’ show us anything, its that a novice can often bring out the best in a seasoned professional and visa versa. If you could choose a fledgling actor to star alongside a movie legend who would you pick and why? 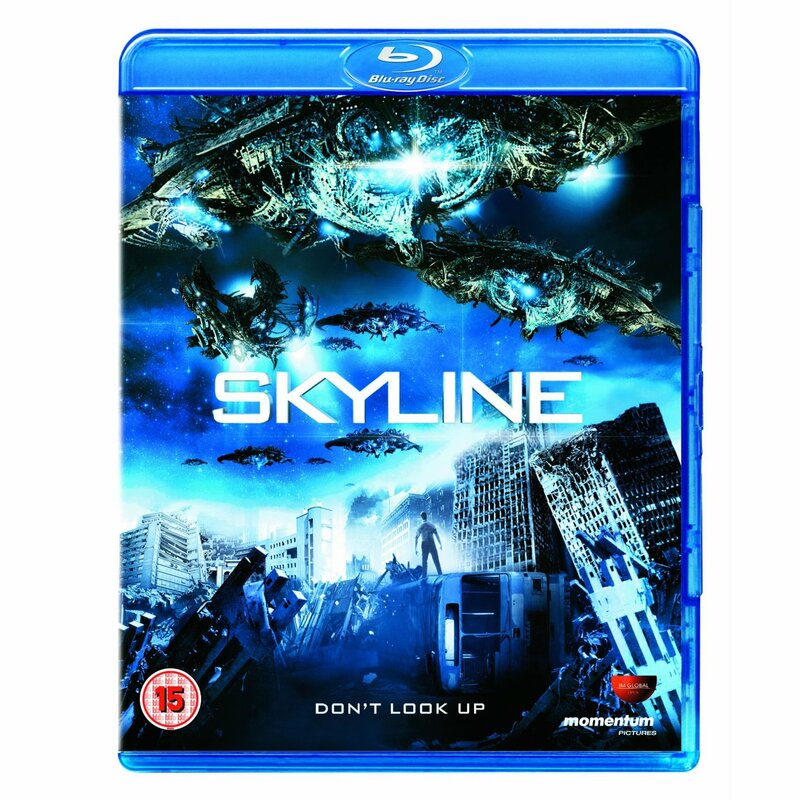 For this week’s Blu-ray Monday we are giving away a copy of the visually stunning, alien invasion drama ‘Skyline’. Directed by the Strause Brothers, whose previous special-effects work includes ‘Avatar’, ‘Titanic’ and ‘300’, this apocalyptic blockbuster makes fantastic Blu-ray viewing. With fast paced action and spectacular fight sequences, ‘Skyline’ follows a group of friends desperate to escape an armada of spaceships that appear in the sky one night. Skyline’s alien assault on Los Angeles makes it Blu-ray debut as cinema audiences watch the city take another extra terrestrial pounding in Battle: Los Angeles. It’s clear we’ve been fascinated by the possibility of life outside our universe for generations, creating urban legends such as Area 51 as well as screen classics like ‘Independence Day’, ‘Invasion of the Body Snatchers’, ‘District 9’ and ‘The X Files’. With the little green men returning to our screens in a big way, we’d like to know what your favourite alien invasion movie is, and why? For this week’s Blu-ray Monday we are giving away a Triple Play copy of ‘Jackass 3: The Explosive Extended Edition’. Celebrating madness and mayhem, the entire Jackass crew including Johnny Knoxville, Bam Margera and Steve-O are back with more hysterical stunts. Facing wild animals, flaming motorbikes and bungee rope toilets the gang reach new heights in pursuit of the ultimate experience in a journey that’s guaranteed to have all who watch in stitches. From the Austrian ski slopes of ‘The Spy Who Loved Me’ to the voodoo mines of ‘Indiana Jones and the Temple of Doom’, stunts have captured our imaginations and left a lasting impression on movie goers around the world. Whether it’s wacky, visually stunning or just plain dangerous, we’d like to know what your favourite movie stunt sequence is and why? Blu-ray Monday Giveaway: Your Oscar winning choice! [tweetmeme source= “blurayreporter” only_single=false] Last night’s Oscars were a magnificent celebration of movie magic, with some fantastic films scooping the top awards. In honour of those chosen by the Academy, this week’s Blu-ray Monday comes with an exciting twist! The winner can choose a copy of any 2011 Oscar winning film currently available on Blu-ray in the UK. (Drum roll please…) This includes Toy Story 3 (Best Animation), Alice in Wonderland (Best Costume and Art Direction), Inception (Best Cinematography and Visual Effects), The Social Network (Best Adapted Screenplay) or The Wolfman (Best Makeup). With ‘The Kings Speech’, and ‘Inception’ both winning big on the night, we’d like to know what you made of the Academy’s choices this year. Were the nominees spot on? Do you agree with the winners? Perhaps you think a certain film or fantastic performance was unfairly overlooked? Let us know your thoughts! Be prepared for some sleepless nights because for this week’s Blu-ray Monday, we’re giving away a Triple Play copy of ‘Paranormal Activity 2’. Taking place three months before the chilling original, Kristi (Sprague Grayden) and Dan (Brian Boland) welcome newborn baby Hunter into the family home. However, it soon becomes apparent that something is not right and as a demonic presence grows in the household their lives are turned into an inescapable nightmare. ‘Poltergeist’, ‘The Blair Witch Project’, ‘Casper the Friendly Ghost’, ‘The Ring’, ‘House on Haunted Hill’, ‘Ghost’, ‘Ghostbusters’… the list goes on and on! From the comical to the frightening it seems we can’t get enough of spooks on our screens. What’s your favourite ghost film and why do you love it so much? Which spirits from the movies have fascinated, moved, scared, repulsed or even amused you and why? We’d love to know! Love is in the air, so for this week’s Blu-ray Monday we’re offering a Valentine’s giveaway with a difference… Catering for those who love or loathe the most romantic day of the year, this week’s winner can choose between two very different Blu-rays, tender teen drama, ‘Charlie St. Cloud’ or boxing biopic, ‘Raging Bull’. ‘Charlie St. Cloud’ sees Zac Efron take on his first emotionally charged role as aspiring sailor Charlie, a young man who survives an accident enabling him see the world in a unique way. If this doesn’t sound like your cup of tea, hopefully ‘Raging Bull’ will get your juices going as Robert De Niro delivers the performance of his career as Jake La Motta, a deeply troubled boxer who’s complexities erupt into violence both in and out of the ring. What would be your ultimate Valentine’s Day movie experience and why? Maybe it’s a home cooked meal followed by your favourite film? Or perhaps a trip to the cinema after a glass of champagne? Or do you prefer visiting romantic places featured in your favourite movies? Let us know!